Supported scaffolds, which consist of one or more platforms supported by rigid, load-bearing members, such as poles, legs, frames, outriggers, etc. Common types of supported scaffolds are frame, system, mobile (rolling), etc. Suspended scaffolds are often used when washing windows or to access bridges and other structures when overhead support is the best option. Aluminium scaffold is lighter than steel scaffold and can be installed on lower roofs. What height and size mobile scaffold is required for my works? When working this out you need to consider the actual working height and standing height. Working height being the maximum height you are required to reach and the standing height being where you want your feet. When ordering a scaffold with us we need to know the standing height required. The width required will depend on the amount of room available. The two most popular widths are 700mm and 1200mm(1.2m). The 700mm frame width will give you a free standing height of 1.4m whilst the 1.2m frame will give a free standing height of 3.6m. We are able to go above these heights with the use of outriggers. Customers have a choice of either static or mobile towers. Our castors are 200mm in diameter, this allows for easy relocation. At Mobile Scaffolds Queensland we pride ourselves on safety. All scaffolds are installed by licenced scaffolders. All our scaffold has been manufactured by a reputable manufacturer (Oldfields) that has been in business for over 100 years. 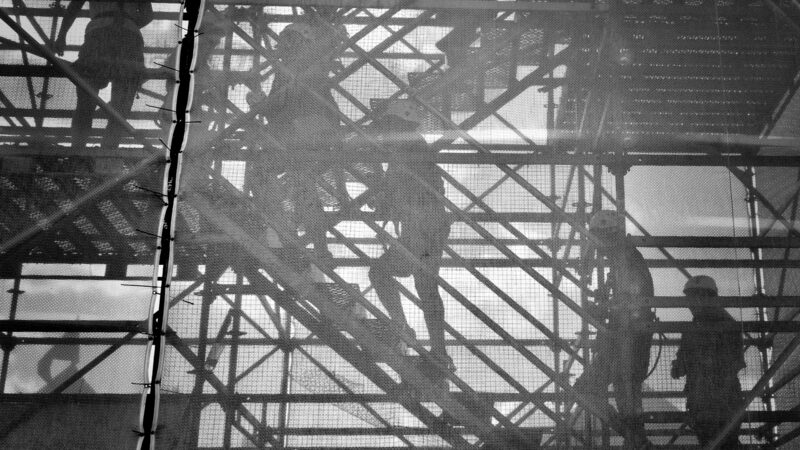 Our scaffold is inspected after every hire and equipment serviced regularly. All scaffolds that are installed by Mobile Scaffolds Queensland are issued with a handover certificate. Mobile scaffolds built with 1200mm(1.2m) frames have a load rating of medium duty (450kg). Whilst mobile scaffolds built with 700mm frame have a light duty rating of 225kg. Engineering available upon request.